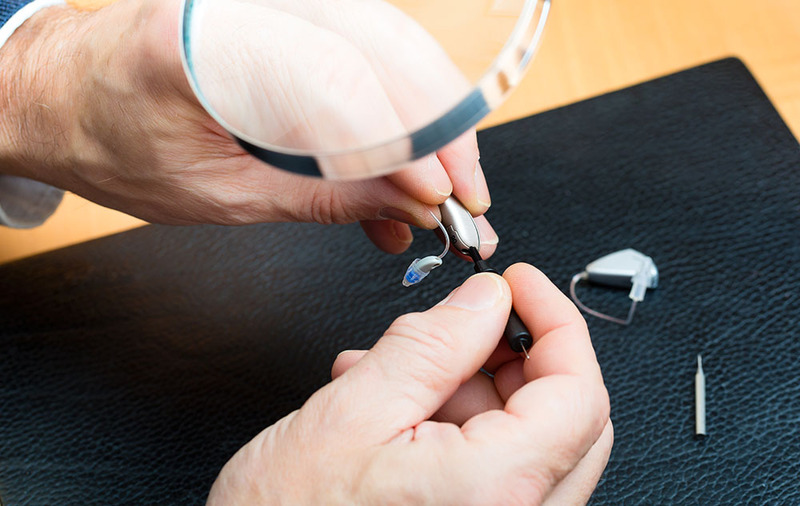 When something goes wrong with your hearing aid, you want it repaired as quickly as possible so you can get back to normal and not have to deal with hearing issues on a daily basis. But should you really take the step of performing those repairs on your hearing aid at home? There are some occasions when this might be possible, but it’s necessarily always the answer so you should tread carefully. If the problem you’re having with the hearing aid is linked to water damage, it might be worth trying to dry the whole thing out. This is something that you can do quickly at home as soon as the hearing aid comes into contact with water or moisture. Fast action can save the device and prevent too much damage being sustained inside the hearing aid itself. Of course, this isn’t 100% sure to fix the problem but it’s something you can do at home before taking any further action if necessary. It’s amazing how many problems can be solved by simply making some changes to the on/off switch or cleaning it. The on/off switch obviously controls the power supply and ensures that the power gets to the hearing aid as it functions. Therefore, if the on/off switch is not performing as it should, it could be the reason why you’re having problems with your hearing aid. Try cleaning it out and make sure that it’s moving freely. This is a basic repair that anyone can carry out at home. Another common problem that people often overlook when dealing with their hearing aids is the batteries. The batteries do die, and just how long they last will heavily depend on what kind of hearing aid you’re using. By changing the batteries, you’ll be able to ensure that this isn’t the fault, so always be sure to try this before you go any further. There’s always a possibility that it could be a simple fix like this that’s causing your hearing to not work. If you’re not trained in how to fix hearing aids and you don’t have that experience, there’s always going to be things that you can’t do yourself. When that’s the case, you should see your audiologist and have them look closer at what might be wrong with your hearing aid. They know these things better than you do and can spot problems and issues that you might have missed when you were assessing it. Don’t hesitate to this if you can’t find a way to fix it at home. It’s certainly possible to carry out some basic repairs of your hearing aid at home if you want to. But there are some things that most people don’t have the ability or knowledge required to carry out. Therefore, there’s nothing wrong with calling on the professionals who know what they’re doing when you don’t.